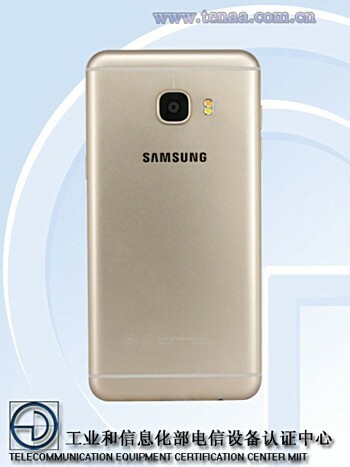 The Samsung Galaxy C5 - which has already been the subject of several leaks, and is expected to be unveiled on May 26 along with the Galaxy C7 - has now been spotted on the website of Chinese telecommunication authority TENAA, confirming some of its key specs. 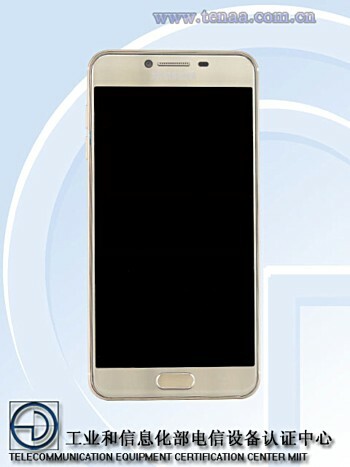 The listing reveals that the device is powered by an octa-core processor (two variants - 1.5GHz and 1.2GHz - are mentioned), and sports a 5.2-inch full HD display. It has 4GB RAM and 32GB/64GB internal memory options. The camera department is handled by a 16MP rear unit and an 8MP front shooter. A 2,600mAh battery is there to keep the lights on. Weighing in at 153g and measuring 145.9 × 72 × 6.7mm, the Galaxy C5 runs Android 6.0.1 Marshmallow out-of-the-box. Color options include Gold.